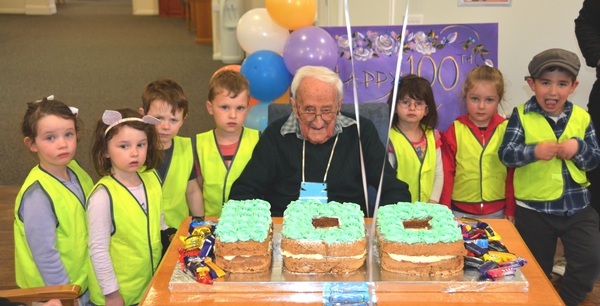 Ronald Trevett Cutts celebrated his 100th birthday in Ocean Grove today. Mr Cutts celebrated with family at friends at Sea Views Manor and had some special guests to help. Children from Headstart Early Learning Centre came to sing Happy Birthday and there was a very impressive cake to cut. 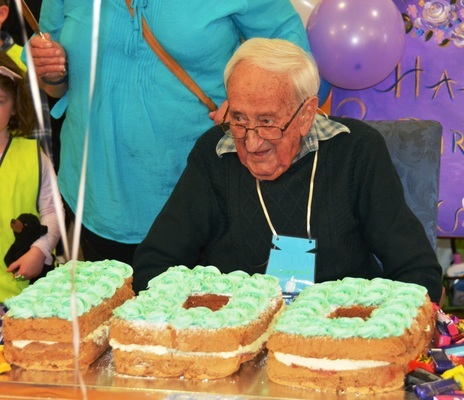 Mr Cutts was born in Birchip and married Joan. The couple was married just three months shy of 70 years until Joan passed. They had three children and have three grandchildren and six great grandchildren. Mr Cutts was a sergeant in the Royal Australian Air Force from 1941 to 1946. Mr Cutts forged a career in local government where he was shire secretary at Koroit, Dunolly and Cobram. 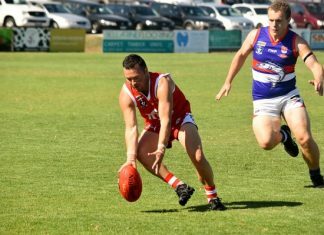 He retired to Shepparton in 1981 and is now comfortably living in Ocean Grove. A passionate and happy Richmond supporter, Mr Cutts was a skilled woodcrafter and fisherman and keeps busy by reading and doing crosswords. He and Joan were keen caravaners and travelled twice around Australia. He enjoys a glass of wine nightly and is a regular at Sea Views Manor’s happy hours every Monday and Friday.